Dr Mary Jo Lavelle, B.A., M.A., Ph.D., is a lecturer in the Discipline of Health Promotion in the College of Medicine, Nursing and Health Sciences at the National University of Ireland, Galway (NUI Galway). Dr Mary Jo Lavelle's research interests are situated in the field of environmental sustainability, sustainable development and health; specifically sustainable lifestyles, pro-environmental behaviours, and quality of life and wellbeing. Mary Jo is particularly interested in the conceptual models that underpin behaviour change, as well as the role played by supportive structural environments and public policy for the promotion of health. Mary Jo's other research interests include: social determinants of health, social research methods, behavioural geography and segmentation analysis. Prior to joining the Discipline of Health Promotion at NUI Galway, Mary Jo was a Postdoctoral Research Fellow at the Centre for Sustainability at the University of Otago, New Zealand. Here, Mary Jos research activities investigated policy implications and knowledge translation of sustainability and energy-efficiency research on a national scale. Mary Jos research was directly linked to the Energy Cultures II Project. This large-scale interdisciplinary research project developed knowledge and tools to achieve a sustainable energy transition in New Zealands households, businesses and transport system; for example exploring issues related to energy efficiency and warmth, fuel poverty, aspirations for energy futures, developing strategic capability through eco-innovation, and sustainable transport. The interdisciplinary research team included academics and experts in the areas of human geography, physics, economics, marketing, and law. The Energy Cultures research programme was awarded gold status by the Ministry of Business, Innovation and Employment for performing above expectations based on MBIEs evaluation of the project. Highlights included (a) the widespread adoption, in New Zealand and internationally, of the Energy Cultures framework as a way of understanding behaviour, (b) the development of an empirical measure of the dimensions of energy culture, (c) new insights into efficient driving, (d) contributions to electric vehicle policy, and (e) a system dynamics model of electric vehicle uptake. Before conducting research with the University of Otago in New Zealand, Mary Jo was a Postdoctoral Researcher at the School of Natural Sciences at Trinity College Dublin. Her research involved an ethnographical study called Homelabs. Homelabs, an EPA-funded project lead by Professor Anna Davies at TCD, employed a range of cutting-edge social and technical innovations and interventions with households in order to test and evaluate sustainable washing and food living-lab interventions. Mary Jo's research examined and evaluated longitudinal impacts of sustainable washing and eating behaviour change interventions. The study evaluated the benefits of combining innovative proposals in real-time, real-life situations through working within Irish households. The research found that combining information about the impact of current consumption practices with practical tools and tips, designed to help reduce that impact, far outweighed the success of such interventions adopted in isolation. The project was funded by the EPA STRIVE (Science, Technology, Research and Innovation for the Environment) Programme 2007-2015. Mary Jo worked as a Postdoctoral Researcher at the School of Geography and Archaeology at the National University of Ireland, Galway. Her research activities concerned the role of segmentation analysis and its utility in promoting greater understanding of pro-environmental behaviours and sustainability in Ireland. Mary Jo developed two innovative typology tools to investigate pro-environmental behaviour change (see Lavelle, Rau and Fahy, 2015). This research argues for a disaggregation of pro-environmental behaviour into habitual and occasional behaviour. Mary Jo was successfully awarded postdoctoral funding from the Irish Environmental Protection Agency to conduct research in this important area. 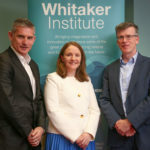 This research was conducted as part of CONSENSUS Project, which investigated household consumption, environment and sustainability in the Republic of Ireland and Northern Ireland: http://www.consensus.ie. The project was funded by the EPA STRIVE (Science, Technology, Research and Innovation for the Environment) Programme 2007-2015. Mary Jo was successfully awarded EPA-funding to conduct large-scale quantitative research as part of her PhD research to examine household consumption behaviours and lifestyles in the areas of water, energy, food and transport, and issues quality of life across the island of Ireland. Her PhD research was conducted as part of a wider EPA-funded study called the CONSENSUS Project (see www.consensus.ie). Mary Jo received numerous awards for her research from the German Federal Ministry of Education and Research; the College of Arts, Social Sciences and Celtic Studies (NUI, Galway); and the Centre for Environment, Development and Sustainability (CEDS). The Lifestyle Survey provided an understanding of peoples attitudes and behaviours towards sustainable household consumption and sustainable lifestyles, as well as explored respondents household behaviours in the areas of mobility, food, water and energy use. It also examined their attitudes towards environmental regulation, environmental responsibility, self-efficacy, as well as issues pertaining to quality of life. This study produced the first extensive baseline data on attitudes and behaviours towards sustainable household consumption and sustainable lifestyles across the island of Ireland. Prior to obtaining her Ph.D, Mary Jo graduated with a Masters Degree in Health Promotion from the National University of Ireland, Galway and worked as a researcher at the Health Promotion Research Centre at NUI Galway, which is a World Health Organisation (WHO) Collaborating Centre. (2015) Towards Sustainability: Overview of household consumption trends for water, energy, food and transport in the Republic of Ireland and Northern Ireland. (2015) Temporal Dimensions of Environmental Behaviour: A briefing note on innovative segmentation approaches to environmental behavioural change across the island of Ireland. (2015) From Ever-Greens to Never-Greens  Segmenting for Sustainability across the island of Ireland. (2017) CONSENSUS Phase II  Towards transformative action for sustainable consumption. (2017) CONSENSUS II: Segmentation, Experimentation and and Biographies for Sustainability. (2016) Energy Cultures Policy Briefs. (2015) Temporal Dimensions of Environmental Behaviour  A briefing note on innovative segmentation approaches to environmental behavioural change across the island of Ireland. (2015) ConsEnSus: Consumption, Environment and Sustainability. (2015) Washing HomeLabs: Longitudinal impact analysis report. (2015) Eating HomeLabs: Longitudinal impact analysis report. (2013) CONSENSUS: Consumption Environment and Sustainability. (2012) Consensus Lifestyle Survey  Report on public attitudes and behaviours towards sustainable consumption and sustainable lifestyles in Ireland: (5) Food waste. (2012) Consensus Lifestyle Survey  Report on public attitudes and behaviours towards sustainable consumption and sustainable lifestyles in Ireland: (3) Transport. (2012) Consensus Lifestyle Survey  Report on public attitudes and behaviours towards sustainable consumption and sustainable lifestyles in Ireland: (6) Water consumption. (2012) Consensus Lifestyle Survey  Report on public attitudes and behaviours towards sustainable consumption and sustainable lifestyles in Ireland: (8) Conclusion and summary. (2012) Consensus Lifestyle Survey  Report on public attitudes and behaviours towards sustainable consumption and sustainable lifestyles in Ireland: (2) Environmental concerns. (2012) Consensus Lifestyle Survey  Report on public attitudes and behaviours towards sustainable consumption and sustainable lifestyles in Ireland: (7) Energy consumption. (2012) Consensus Lifestyle Survey  Report on public attitudes and behaviours towards sustainable consumption and sustainable lifestyles in Ireland: (4) Food consumption. (2012) Consensus Lifestyle Survey  Report on public attitudes and behaviours towards sustainable consumption and sustainable lifestyles in Ireland: (1) Methodology and profiling. (2012) (2012) Consensus Lifestyle Survey - Report on public attitudes and behaviours towards sustainable consumption and sustainable lifestyles in Ireland: (8) Conclusion and summary. (2012) 2012) Consensus Lifestyle Survey - Report on public attitudes and behaviours towards sustainable consumption and sustainable lifestyles in Ireland: (1) Methodology and profiling. (2012) 2012) Consensus Lifestyle Survey - Report on public attitudes and behaviours towards sustainable consumption and sustainable lifestyles in Ireland: (7) Energy consumption. (2012) Consensus Lifestyle Survey - Report on public attitudes and behaviours towards sustainable consumption and sustainable lifestyles in Ireland: (4) Food consumption. (2012) 2012) Consensus Lifestyle Survey - Report on public attitudes and behaviours towards sustainable consumption and sustainable lifestyles in Ireland: (5) Food waste. (2012) (2012) Consensus Lifestyle Survey - Report on public attitudes and behaviours towards sustainable consumption and sustainable lifestyles in Ireland: (6) Water consumption. (2012) Consensus Lifestyle Survey - Report on public attitudes and behaviours towards sustainable consumption and sustainable lifestyles in Ireland: (3) Transport. (2012) Consensus Lifestyle Survey - Report on public attitudes and behaviours towards sustainable consumption and sustainable lifestyles in Ireland: (2) Environmental concerns. (2012) Review of Material Geographies of Household Sustainability, by Lane, R. & Gorman-Murray, A. (eds). Irish Geography. (2016) Adopting the Energy Cultures Framework to promote pro-environmental behavioural change in Ireland. Energy cultures International conference on Sustainable Energy Futures: Understanding Behaviour and Supporting Transitions, Wellington, New Zealand. 6th July 2016. (2015) 'From Ever-Greens to Never-Greens: Segmenting for Sustainability on the Island of Ireland'. CONSENSUS International Conference on Sustainable Consumption Transformations National University of Ireland, Galway, 21/05/2015. (2015) Whats consuming Ireland? Exploring expressed attitudes and reported behaviours towards the environment, quality of life and consumption on the island of Ireland. School of Geography and Archaeology Springtime Lecture Series, Galway City Musuem, Galway City. 6th Feb 2015. (2013) Living the Good Life? A focus on sustainable consumption and quality of life: a cross border case study from the island of Ireland. RGS-IBG Planning and Environment Research Group (PERG) Symposium at the University of Exeter: UK. (25-26th April 2013). . (2013) The Links between Consumption: Quality of life and standards of living. Health Promotion Research Centre, NUI, Galway. (2012) Shifting Environmental Policy Focus  An exploration of sustainable lifestyles and social marketing techniques. (2012) A geography of sustainable household consumption and sustainable lifestyles: a case study from Ireland. Association of American Geographers, NYC. (2011) Exploring the barriers and motivations underlying sustainable lifestyles: a case study from Ireland. Association of American Geographers, Seattle, WA. (2011) Exploring sustainable household consumption in Ireland: A comparative overview of urban-rural and cross cultural trends. 19th Annual Colloquium IGU/UGI, NUI, Galway. (2011) Exploring the existing and emerging trends in domestic consumption behaviour: a case study from Ireland. Sustainable Consumption Conference, Hamburg, Germany. (2010) Sustainable Consumption: Quality of life and standards of living. The 6th SSRC International Conference Workshop 2010, NUI, Galway. (2010) An examination of the attitudes and behaviours towards sustainable household consumption and lifestyles. Conference of Irish Geographers, NUI, Maynooth. (2015) Understanding Environmental Behaviour Change: Waste and Overconsumption. Invited Presenter, Professional Development Conference, Leave No Trace, Ireland, Slieve Aughty Centre, Loughrea. November 2015. (2016) Different Shades of Green: Segmenting for Sustainability across Ireland. Different Shades of Green: Segmenting for Sustainability across Ireland. Public seminar. Centre for Sustainability Seminar Series. University of Otago, Dunedin (August 18th 2016). 1PCW1 Postgraduate Certificate in Health Promotion in Workplace Wellness. 1PCH1 Postgraduate Certificate in Health Promotion (Approaches to Cardiovascular Health and Diabetes Prevention. Specialist Certificate Outreach Programmes, Discipline of Health Promotion, NUI Galway. 1SOH1 Specialist Certificate in Health Promotion in Oral Health (13 students). 1SYH1 Specialist Certificate in health Promotion in Youth Health (16 students). Masters and Postgraduate Diploma in Health Promotion Programme, Discipline of Health Promotion, NUI Galway. 2017-2018 Determinants of Health HP848 This module provides students with professional education and training in the principles and practice of health promotion. Students are introduced to biological, psychological, socio-environmental and cultural determinants of health and how they are interrelated. 2017-2018 Postgraduate Certificate in Health Promotion (Approaches to Cardiovascular Health and Diabetes Prevention) 1PCH1 The programme aims to enhance Health Professionals understanding of the determinants, prevention, lifestyle factors and associated patterns of inequality. The programme equips students with an in-depth understanding of how to critically assess the evidence base, understand national and international approaches to the promotion of cardiovascular health and the prevention of diabetes, and appreciate the role of advocacy in influencing health and environmental (public) policies. 2017-2018 Postgraduate Certificate in Health Promotion in Workplace Wellness 1PCW1 The course provides students with a professional education and training in the principles and practice of health promotion as applied to workplace health and wellness. 2017-2018 Specialist Certificate in Health Promotion (Oral Health) 1SOH1 The course aims to provide students with a professional education and training in the principles and practice of health promotion as applied to the promotion of oral health. The course encompasses a body of specialist knowledge and skills on health promotion, the causes of oral ill-health and oral health promotion.